NHK said it had chosen to broadcast 2001: A Space Odyssey on its launch night so that viewers could enjoy a “masterpiece of film history”. Although many movies are shot on 35mm film, 2001: A Space Odyssey was shot on 70mm film, which was the highest quality available at the time. Warner Bros was able to scan the original film negatives, repair scratches and provide an 8K version of the film that captures the “power and beauty of the original”. 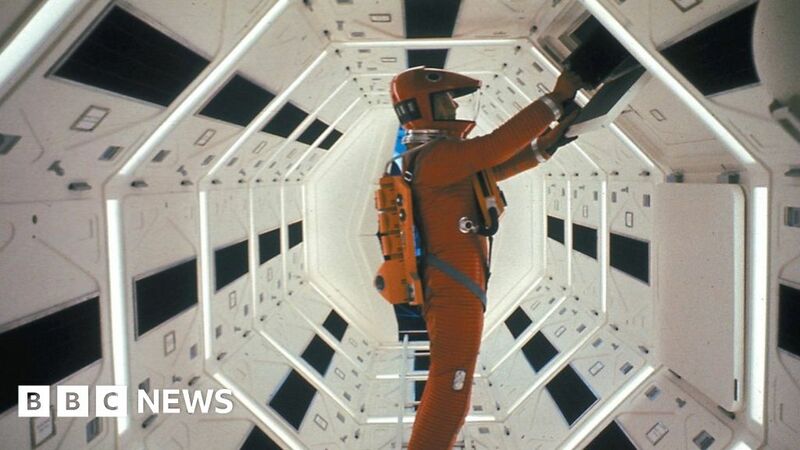 “The many famous scenes become even more vivid, with the attention to detail of director Stanley Kubrick expressed in the exquisite images, creating the feeling of really being on a trip in space, allowing the film to be enjoyed for the first time at home,” NHK said in a statement. In March, the channel will broadcast My Fair Lady starring Audrey Hepburn, which was also shot on 70mm film. Japanese electronics-maker Sharp began selling its first 8K television in 2015. At launch it cost $ 133,000 (£104,000). Currently, a Samsung 8K television costs about $ 15,000 (£11,700) to buy. Viewers will also need an 8K-capable satellite receiver. Sharp produces one that costs 250,000 yen (£1,750; $ 2,200). It requires four HDMI cables to get the pictures into a Sharp TV set, and another cable for sound. Since 8K televisions and receivers are not yet owned by many people, NHK intends to showcase equipment in venues around Japan. It hopes live events will tempt people to tune in, but will also repeat programmes regularly. “Content has always been crucial for a new TV technology to take off,” Joe Cox, editor-in-chief of technology news site What Hi-Fi, told the BBC. “The launch of the world’s first 8K TV channel is great news, even if it is only in Japan. But realistically, mass market adoption is still a long, long way off. “While the likes of Amazon and Netflix have charged head first into 4K this year, the BBC is only at the trial stage, and others are still struggling to stream HD, so 8K remains a pipedream in the UK.